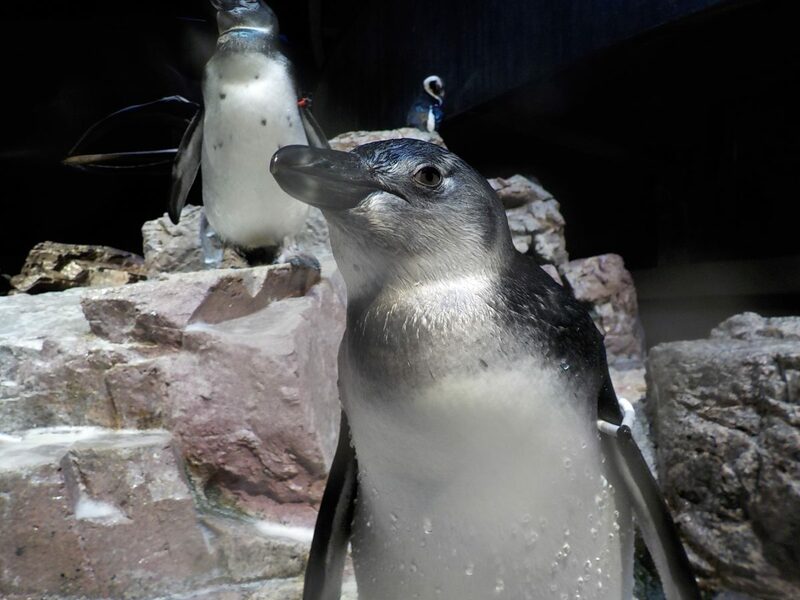 Each summer, the New England Aquarium is packed with visitors from across the country and world who view our amazing African penguins. 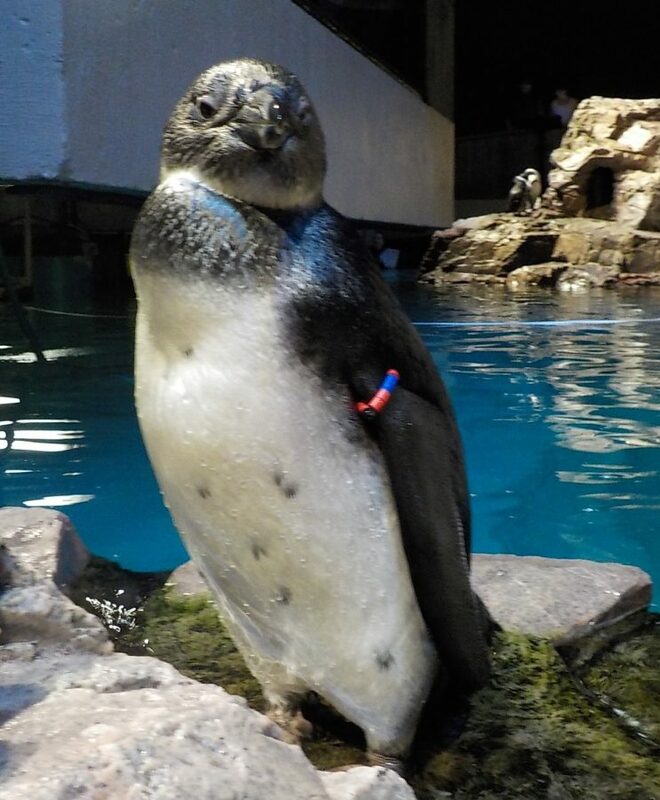 However, they will not see several other penguins tucked away in our behind-the-scenes holding area that have been specially designated to take part in our breeding season. This year, we had a very successful breeding season. 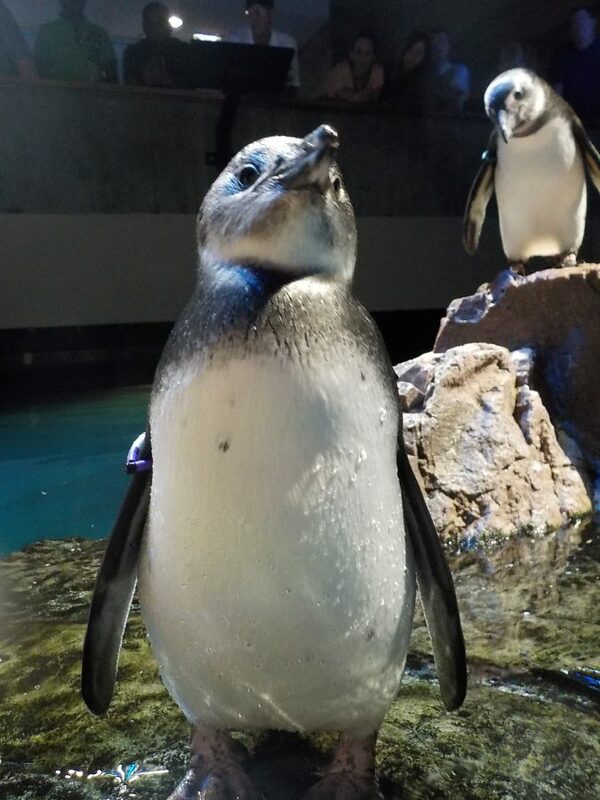 We would like to introduce the newest members of our African penguin colony. These five lovely ladies and one cool dude (though we did not know their genders until we sent their blood samples to the lab to look at their DNA) were born here at the New England Aquarium this summer. 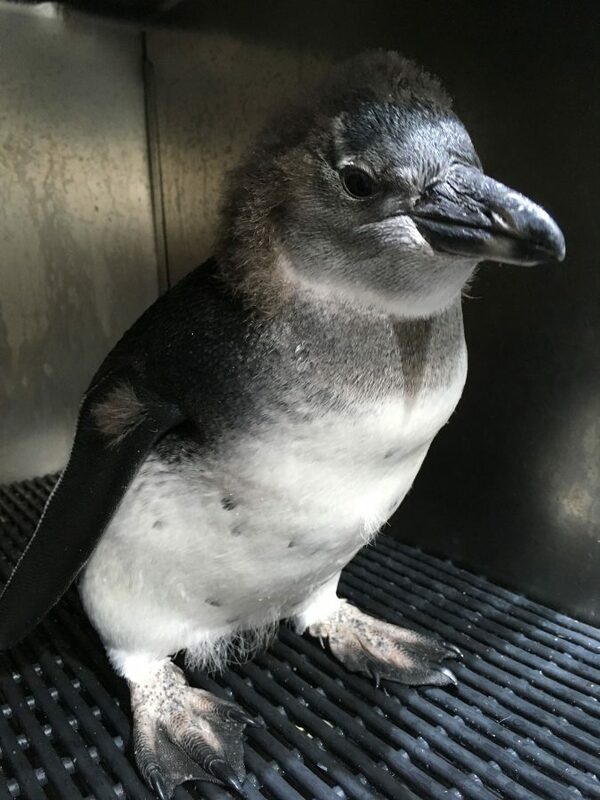 After spending months behind the scenes being cared for by their parents and the penguin staff, they have adjusted well to life on exhibit. Say hello to Alfred II, Hollams, Mosselbaai II, Neglectus II, Robben III, and Vello IV! Alfred II has a red and blue bracelet on her right wing. She was born on June 4, 2017. Her parents are Mercury and Saldanha II. Alfred is named after the Victoria and Alfred Waterfront in Cape Town Harbor. This busy waterfront is from where many ships depart to sail to Robben and Dassen islands, two very important African penguin breeding islands. Hollams has a pink and black bracelet on her right wing. Her parents are also Mercury and Saldanha II. She was born three days after Alfred on June 7, 2017. Hollams is named after Hollams Bird Island, an African penguin breeding island in Namibia. Unfortunately, only one breeding pair remains on this island. Mosselbaai II has a white and gray bracelet on her right wing. She was born on June 10, 2017. Her parents are Roast Beef (who is known for his many appearances outside the Aquarium) and Treasure II. Mosselbaai is the Afrikaans (a common language spoken in South Africa) spelling of Mossel Bay. The bay is on the western cape of South Africa and is made up of many islands, including Quoin, which used to be an African penguin breeding island. Neglectus II has a purple and gray bracelet on her right wing. She was born on June 17, 2017. Her parents are Pip and DeHoop. Neglectus II is named after an African penguin breeding island off the coast of Namibia. Robben III has a red and gray bracelet on her right wing. Robben III was born on August 2, 2018. Her parents are SANCCOB and Malgas. Robben is named after Robben Island. In addition for being known as one of the largest African penguin breeding islands, Robben Island was home to the prison that held former South African President Nelson Mandela. Vello IV has a brown and white bracelet on his left wing. Vello IV’s parents are also SANCCOB and Malgas. He was born six days after Robben III on August 8, 2018. Vello IV is named after Alvero Vello, who was thought to be the first European to sight African penguins. 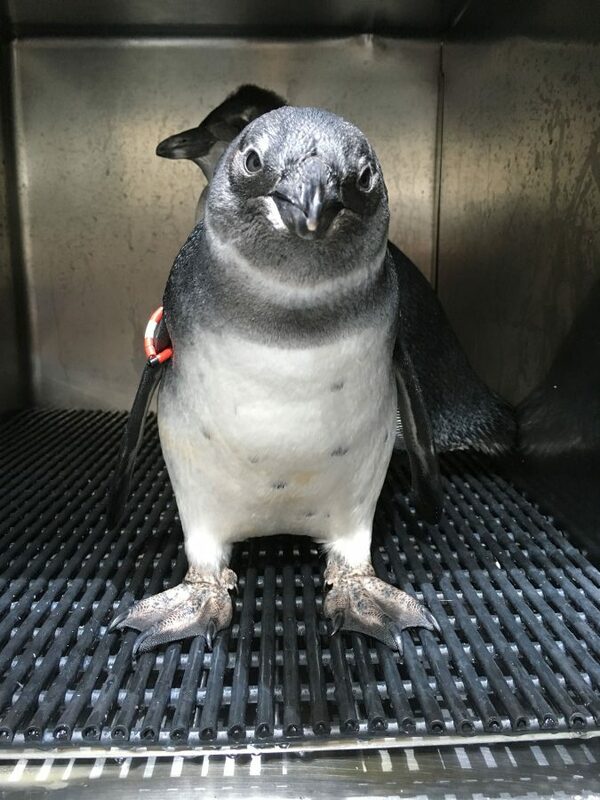 Our breeding program is very important to ensure that we continue to have a genetically healthy and diverse penguin population here at the Aquarium and in zoos and aquariums across the country. Hopefully in a few years, these six penguins will be paired up with penguins specifically chosen just for them. These new pairs will help ensure that we continue to have healthy penguins in zoos and aquariums for years to come so everyone can have the opportunity to see these remarkable animals. 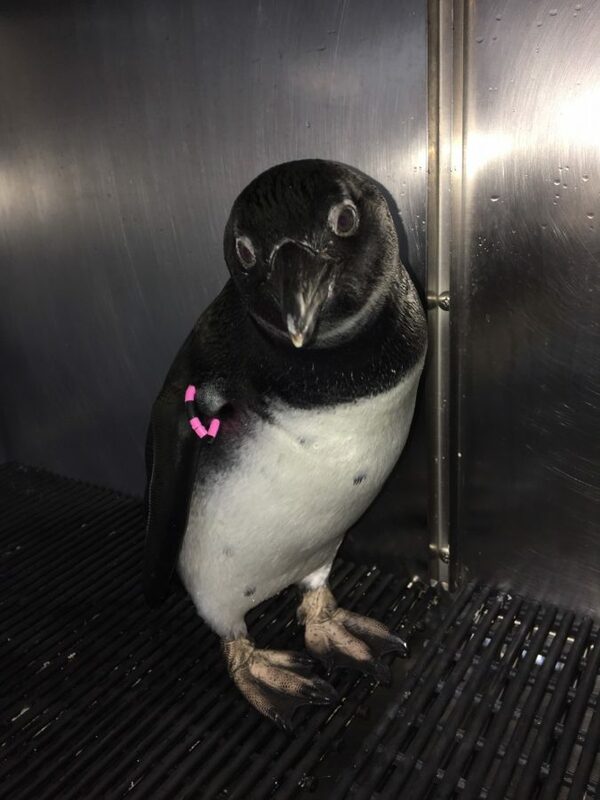 If some of these penguins look familiar, they were recently featured in a Facebook Live post while they were still being cared for behind the scenes.